Old fire road great views all the way. Then you reach the spectacular Kakwa Falls. Kakwa Wildland Park is 160 kilometres southwest of Grande Prairie. For travel beyond Lick Creek (roughly 10 kilometres from the park’s northern boundary) a four-wheel drive vehicle is essential. Visitors should check ahead with Alberta Parks in Grande Prairie to confirm road conditions. 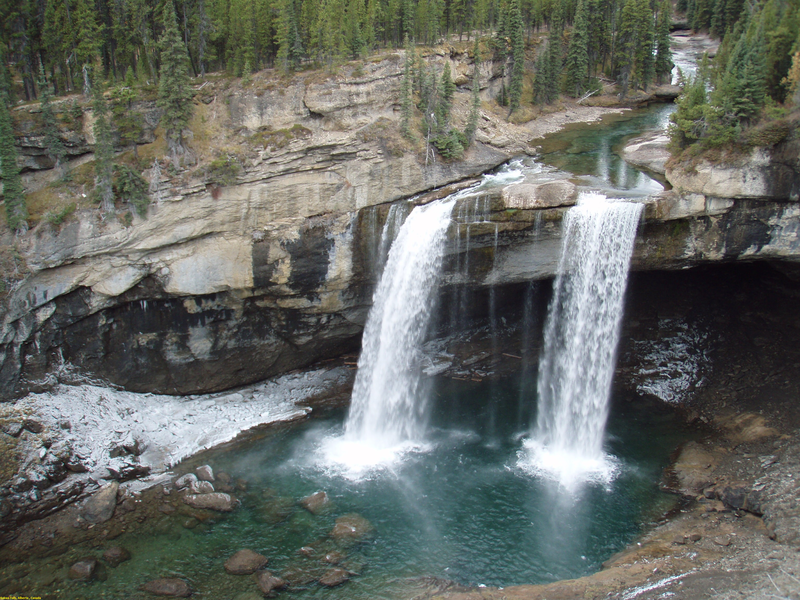 Kakwa Falls which is 30 metres high, Alberta’s tallest waterfall.